In recent years, the term “concussion protocol” has become such a part of the NFL lexicon that everyone refers to it — from players to coaches to those of us who cover the league to all the fans who watch. But how many of us could actually describe the different elements of the protocol? Or identify the roughly 30 medical personnel present at every game? Even as a medical professional who understands the terminology involved and has followed the evolution of the NFL concussion protocol over the years, it wasn’t until I had the opportunity to see the various elements and personnel in action that I could fully appreciate the working mechanics of the protocol on game day. 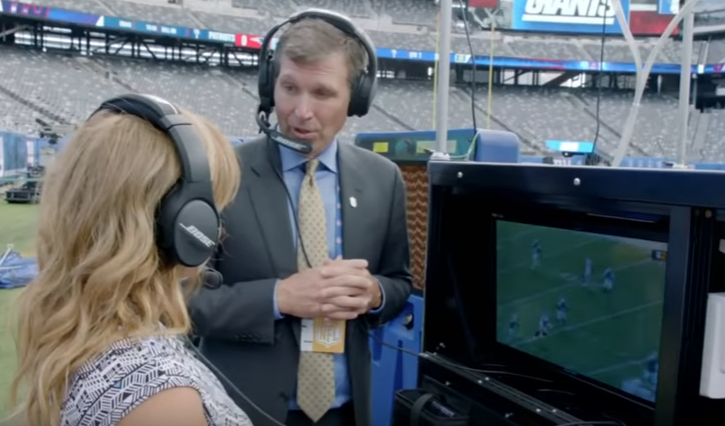 During the preseason, I had the opportunity to spend time before, during and after a game with Dr. Allen Sills, the NFL’s chief medical officer, to get a close-up view of the league’s game-day protocol. While there were some components with which I was very familiar, there were also some revelations. During the “60-minute meeting” (so named because it takes place 60 minutes prior to kickoff), all medical providers for the game gather in the officials’ locker room to meet face-to-face (for purposes of easier identification, because the officials want to know who will be potentially running out onto the field or speaking in their ears) and to review the emergency action plan: What happens if a player needs to go to the hospital? Where are the ambulances and paramedics stationed? What is the path in this particular stadium to the X-ray unit? To hear more about the concussion protocol, ranging from which medical personnel are on site, what happens in the spotter’s booth and in the blue tent, the video review process, in-game player concussion evaluation and how the evaluation of the protocol is ongoing, please check out my Answering the Bell podcast with Dr. Sills.